Výztuha zámku (protikus západky) pro boční dveře aplikace na panel podlahy (A-kvalita). 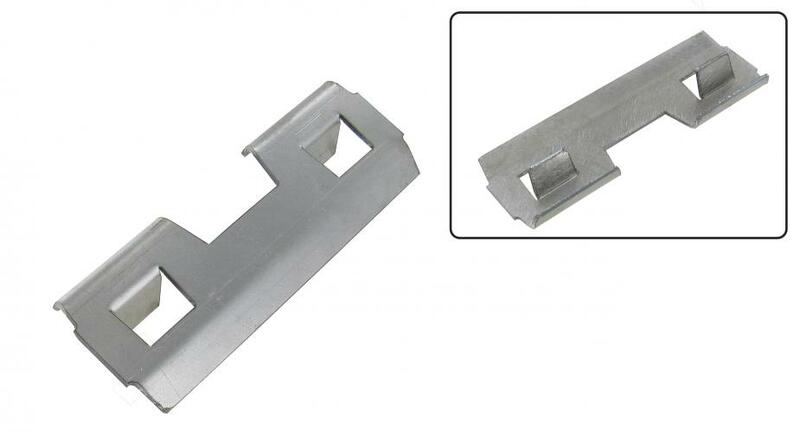 Cargo side door floor latch reinforcement (A-quality). Side doors lock catcher, this strike is actually the plate welded to the floor of the loading doors on the side of a bus t / m 1967. By buying the entire right floorboard # 20897 , the smaller (repair) part # 20710 or slab with outer sill # 20712 are provided with a strike but may vary slightly (depending on the year) so you have to strike the old transfer. This transfer is no longer necessary now that the strike is available separately and applied to all spijlbussen if you are restoring the old slab.